We take a look the remarkable power of healing by suggestion. Although still controversial it could be the key treating a huge variety of chronic illnesses from Parkinson’s, chronic pain, irritable bowel syndrome, depression to maybe even cancer. Some say the use of a Placebo is unethical and risky. Others argue that the use of a Placebo is vital to protect society from ineffective western medical treatments. Others argue that the improved symptoms are merely the natural progression of an illness and you would have been cured either way as your body develops its fighting mechanism. But this is not true of chronic illnesses we say. 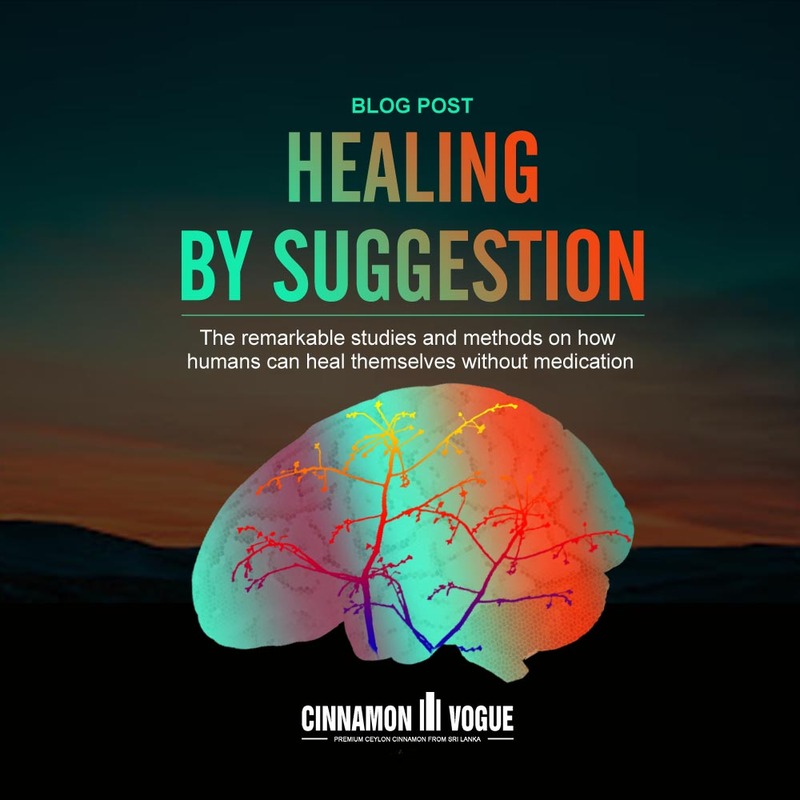 In 2017 an unusual experiment to demonstrate the healing power of suggestion was conducted by researchers Prof Samuel Veissière, PhD and Jay Olson, MSc (Department of Psychiatry) at the University of McGill. This astounding study featured here on the YouTube Mind Field channel demonstrated that children with certain conditions could be cured just by suggestion. In the experiment three children with various ailments (skin picking, hyperactivity and headaches) were placed in a fake MRI scanner and told that the machine would help to train their brain to cure themselves. Remarkably two of them were completely cured and the third with the skin picking habit had dramatically reduced her skin picking tendencies. According this very interesting article there is very good evidence that the body can be trained into a conditioned response that triggers immunosuppression. Research discovered that a Lupus patient could be given one third the dosage of Cytoxan when combined with a conditioned response, to achieve the same effect as a full dose of the drugs. Every year like everyone else I used to fall prey to seasonal flu. Chills, allergies, hacking coughs and sore throats was the bane of my existence. Interspersed with Allegra tablets, Nyquil cough medication, and airborne tablets. Until one day I had taken so much Nyquil that I could not get up. That’s when I discovered Braggs Organic Apple Cider Vinegar. Now within 15 minutes of an impeding sickness I take 2 tsp’s of Apple Cider Vinegar in a glass of warm water. I have not been sick in 6 plus years. No allergies, no fever, no medication, no nothing. Could it be a very powerful self-suggestion that triggers the body to fight back fast? All I know is that the people who have the same faith as me never get sick. Those who still do not follow my prescription or follow it haphazardly are still falling sick. Is it a powerful self suggestion that triggers a massive immune response or is there something in the Apple Cider Vinegar? Either way I have got rid this terrible seasonable condition. The power of the mind is best demonstrated with the unusual “ Aboriginal Bone Pointing “ curse. In 1953, an Aboriginal man by the name of Kinjika was taken to a hospital with a life threatening illness. They were not sure what was wrong with him. All they knew was that he was dying. Tests showed he had not been poisoned, injured or had other illness. Within 5 days the man was dead. The consensus was that he had died of Bone pointing, an ancient practice with very specific rules without actually doing any physical harm to make a person die. This scientific American article cites a study that finds meditating cancer patients are able to affect the makeup of their DNA. Researchers were able to demonstrate that an adapted form of Buddhist meditation was able to preserve the length of telomere which are stretches of DNA that cap our chromosomes and help prevent chromosomal deterioration. While shorter telomore may not cause disease they are apparently present in patients with cancer, diabetes, heart disease and high stress levels. The power of a Placebo has been well known for decades. The question is can suggestions, placebo effects and other mind tools cure serious illnesses like Cancer, Diabetes, Depression, Alzheimer’s and other such ailments? According to this National Geographic Parkinson’s, chronic pain, irritable bowel syndrome, depression, anxiety, certain types of asthma, and autoimmune deficiencies are all very placebo-responsive. But cancer is not. Wait a minute perhaps you can cure cancer too with the power of suggestion? A Brazilian faith healer called John of God claims to cure cancer and a whole host of ailments. Oprah has visited him, as have many scientists. All of them agree it works but they are baffled as to how. In one of the videos of John God, which follows a number of patients, there were remarkable turnarounds. One woman started making progress towards walking while another with cancer lesion of the neck made a recovery after some hiccups. Astounding wouldn’t you say? The power of belief. According this article “When treated with clonazepam or an SSRI, 60% to 70% of patients with panic disorder become panic-free during a 10-week treatment period. During the same period, half or more of patients with panic disorder who are treated with placebo become panic-free. But they ruin the argument by saying “Conditions that are poorly responsive to psychotherapy are also unlikely to respond to a placebo. Patients with attention-deficit/hyperactivity disorder, for example, are more likely to improve with medication than with behavior therapy “. Yet the university of McGill study showed even children with ADHD can be cured with a self-suggested Placebo. Given the iffy track record of the medical community we need to take even the suggestions of the medical community with a grain of salt. What we can take away from this that a Placebo and by extension self-suggestion are just as good as conventional medication for most ailments short of a car crash victim who needs urgent physical surgery. The effectiveness of self suggestion probably depends on the tools you use. They could be a placebo pill or simply developing your mind. In other words tricking the mind by setting the stage. The Children in the McGill university study were made to believe they were going into a real MRI machine with special power to alter the brain. John of God does both actual physical operations as well as non physical operations. Here are our suggestion on you can do it. The concept of auto suggestion is one of the most powerful tools you can use to control our health. But like all things it needs tools and techniques to master. And lots of practice. Visualization – It is well known that if you write down something and look at it everyday it happens. It could be as simple as wanting a red BMW convertible or that vacation in Hawaii. There is no reason why it cannot work for your health.They key is to write down a single point and then expand on that single point. For example you write down say ” I want to get cure my Type 2 diabetes “. Merely looking at that will not help you cure diabetes. You can expand that into how, by stating ” blood sugar levels now 130 mg/dl, target in six months 99 mg/dl. You can further expand that target by saying what you have to do to achieve that target for example ” Follow the Keto diet recipe book “. Print it and post it in your bathroom, kitchen and office so you see it everyday. It will focus the mind and you will gravitate towards healthier actions because now your mind is constantly made aware of what targets needs to be met. Repetition - Emile Coué, the 19th century French psychologist taught his patients to repeat this sentence morning and night ” Every day, in every way, I’m getting better and better ”. While there has been criticism of his methods, most notably that the effect wears off, this could be attributed to a patients waning self discipline.So the key thing is to be self disciplined every day no matter what the interruptions of life are. If the mind is susceptible to a single doubt it is also susceptible to single spark of optimism. This is why there are rich people and poor people. The rich have a single sense of optimism without self doubt. So start today. Write it down in as much detail as possible. 2. Create your own realistic Placebo – There is increasing evidence patients respond to a placebo even when they know it is a Placebo. One trick maybe to ask a friend to create a Placebo. This could as simple as mixing up some pills and giving you the Placebo for the most part, although we are definitely against any kind of pills. It would certainly be an interesting experiment. Many diabetic patients’ use herbs and spices like Cinnamon, Turmeric, ginger, bitter melon to help their diabetes. Might these be a Placebo that helps self-suggestion? It is certainly possible given that people have been using them for centuries. If it works, why not use them? The mere act of taking special foods could be focusing our mind to eat healthier food. Try the Apple cider Vinegar trick for the seasonal illnesses like we did. It works without exception. 2. Hypnosis – Some people can by hypnotized. Why not. It is a form of Mind suggestion after all. According to this article hypnosis can benefit the following illnesses. Asthma, back pain, brain injury, cancer, depression, erectile function, fertility, fibroid healing, headache, liver conditions, hypertension, immunity, IBS, multiple sclerosis, neck conditions, pain, pregnancy and childbirth, skin conditions, spinal cord healing, surgery and recovery, and tinnitus, and a myriad of other medical needs. 3. Meditation and Yoga – Buddha famously said “ To keep the body in good health is a duty, otherwise we shall not be able to keep our mind strong and clear” Meditation is a central part of the Buddhist philosophy, designed in part to prevent and address physical and mind illnesses. According to this interesting company EOC institute meditation helps alleviate pain and reduces the occurrence of chronic diseases. There is an interesting story about “ The Iceman ” Wim Hof. Could he with his superhuman abilities, also ward off disease? To test’s Hof’s conscious immune system researchers at Radboud University Nijmegen Medical Centre injected him with a bacteria which causes flu-like symptoms and inflammation. The test results showed that hardly any flu-like symptoms were observed in Wim Hof. All attributable to his meditation fueled immune system, which apparently forced the pathogen into submission. Certainly compelling evidence given the track record of the Iceman. The daily beast reports that a Tibetan Lama cured himself of diabetes and a debilitating infection of the leg that doctors suggested had to be amputated. Not only did he cure his leg back to normal health, his diabetes and Tuberculosis were also gone. Purely from meditation. Once again the researchers at Radboud University in the Netherlands cited in this article found meditation and yoga can ‘reverse’ DNA reactions which cause stress. While Yoga as a standalone cure may not be advisable, it could nevertheless be a part of a multi-pronged approach to curing yourself naturally. What could Yoga help with? Depression – An initial study by researchers at Boston University School of Medicine found evidence that participation in an intervention composed of Iyengar yoga and coherent breathing is associated with a significant reduction in depressive symptoms for individuals with major depressive disorder.” Pain – This is an area where Yoga maybe most beneficial. This systematic review at NCBI found that yoga has positive effect on pain relief on people with Knee osteoarthritis. A relatively long period (12 weeks) of yoga intervention may help to improve the short-distance mobility in patients with Knee osteoarthritis. We think given enough mastery of the mind anyone can cure them of an illness but more importantly prevent these illnesses. Maybe the very act of having a powerful mind makes you careful about what you eat and making you less susceptible to a debilitating illness. Did you know that most people die within 5 years of the date they expect to die? Try this Death clock to calculate how long you will live and add another 20 years to that. Now imagine if you thought you will die at 120 instead of the usual 75 to eighty years that most people expect to die? That is the power of suggestion. 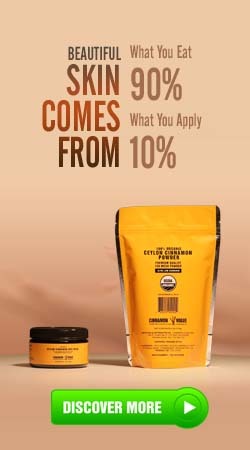 The American consumer has been conditioned to take all manner of drugs and supplements with the suggestion that taking them will help cure you. Might this be an adverse self-suggestion? One that helps to enrich the medical community to an extraordinary degree? Before you reach for medication and supplements and even health food like Cinnamon, should you maybe take a deeper look at how you can train your mind to feel and be healthy? It will involve eating better for sure but also tricks and methods you can use to train your mind to be lead a healthy productive life. Finally we must warn that healing by suggestion may not work for all illnesses. But then again isn’t that warning also a self suggestion? Of course if you have a gun shot wound you will need an operation. Nevertheless many common illnesses can benefit from a powerful mind as a complementary treatment option. One that could change your very DNA and molecular structure to lead a healthy life. It’s your choice. With enough mastery of the our brain and attitude to life we may not need any medication at all. Just good food and a mastery of our domain. This entry was posted in Health & Fitness and tagged ADHD, depression, diabetes, DNA, healing, meditation, placebo, self suggestion, suggestion by . Bookmark the permalink.